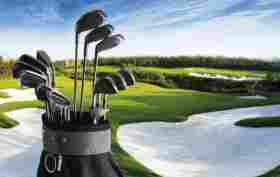 Having the absolute best golf club set is a dream for almost every single beginner in golf. However, let’s be honest, is it really necessary? What should you know before buying your dream set? If these are questions you commonly ask yourself then start the party because your problems are over! Today, Golfoid will tell you everything that you need to know before buying your so-called “dream” golf clubs. My dear reader, before you decide what clubs you are going to buy, it is necessary that you research a little and take into consideration your physical characteristics, your level in the game, your swing, and your strength. So, before making a high investment in a well-known brand of clubs in the market, it is a good idea that you first schedule a club-fitting. 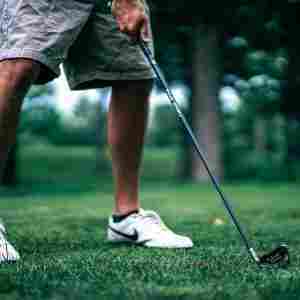 As I said in previous posts, each golfer has their own swing, some professional tips will help you here and there, but the structure of your swing, your speed, and your strength is a characteristic of you. Do not put it in your head that buying the absolute best golf clubs or the driver that Tiger Woods is using will make you as good as he is. Let’s be realistic, just because the driver is good for him does not mean it’s good for you. This is precisely where club-fitting will help you. During a fitting, you will find out what type of club is necessary for your characteristics. It is important to research and understand how golf clubs work before taking the leap to purchase them. With today’s new technology, it is evident that the best-known brands on the market have some remarkable similarities and the performance of the clubs are quite similar. What is really different is how companies produce their own clubs. There’s no point in wanting to buy a driver you’ve seen Phil Mickelson using on television and believing that it’s the best driver ever made without first trying it out. You need to test the clubs you’re interested in acquiring. It will be helpful for you make a list of the brands you like or the clubs that best match your desires. After that step, contact some stores that allow club fittings and test the clubs you have placed on your list. Stores like Dicks and Golf Galaxy, give you the possibility to test some of the clubs that they have available for free which will give you a sense of how the club works. There are also representatives of some well-known brands that do club fittings at various golf clubs. Now, it’s important to know that they can charge you by the hour or they may be working together with the golf club that you attend and not to charge you for the fitting. This is valid because this person is responsible for analyzing your swing and will actually use a machine to evaluate the speed of the ball, that is, he will know specifically, according to the speed of your swing, your type of swing and your strength, and as a result, the type of club that will be best suited to these characteristics. By analyzing your swing, the professional will ensure that you perform better during your rounds of golf and that you do not risk investing in expensive equipment with no guarantee that this is really the right equipment for you. It would be a waste of time and money if you get expensive equipment that does not help you improve your performance during your game because, one thing I can tell you in golf is, besides having good golf equipment is also necessary to have discipline about the game and train a lot so you can achieve your goals in the game. 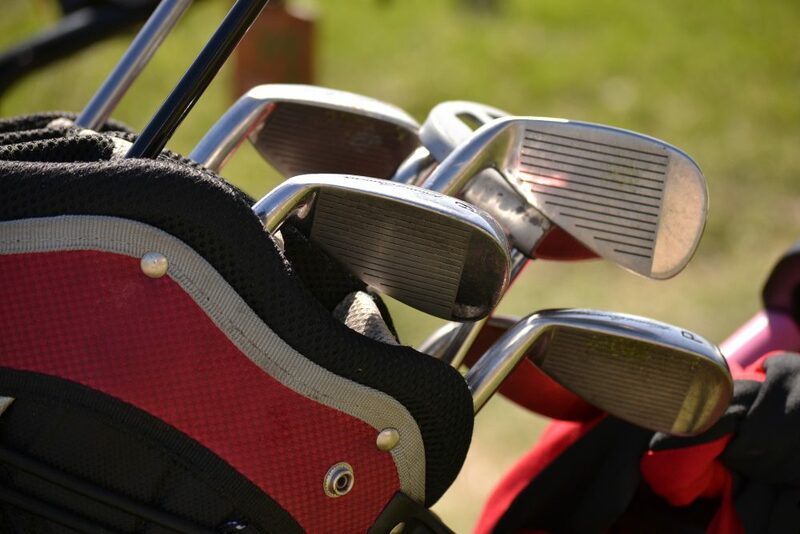 Of course, you need to know your handicap when choosing your golf equipment. If you are a beginner golfer who does not know how to have good contact between the club and the ball, or you do not have much time to practice golf and only play occasionally with some friends and still do not put the ball on the fairway constantly or have difficulty reaching the green, a club you can consider is a forgiving club. In case you have a handicap above 16 and below 26, a forgiving club will best suite you. The club uses the term forgiving because this club is intentionally produced specifically for golfers who do not have good contact with the ball, so the club will “forgive” your mistakes during your strike and your hit won’t be as bad as it would be with a blade or a players club. These clubs are produced in a way that will minimize the effect when you do not have good contact with the ball. Your ball flight will not have a result as bad as if you were using a club without this forgiveness. So, where does this forgiveness come from you may be asking? Well, forgiving clubs are built with something called a cavity. A cavity is an empty space between the back of the club and where it is connected to the shaft. This cavity or open space gives the player a larger sweet spot in which to hit the ball. This all sounds good and fair but why wouldn’t everyone want to use these club in case they have a mishit? Well, these type of clubs takes away the players ability to work the ball and spin, if you are a professional these two things are a must. 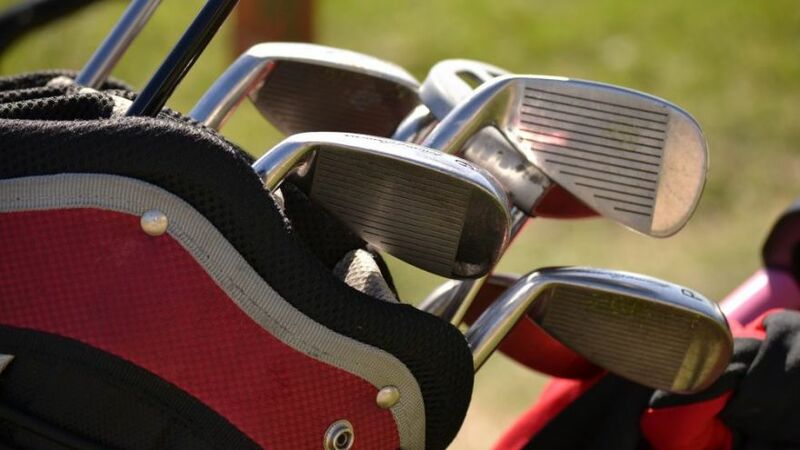 If your handicap is over 26 or you are older and no longer have the ability and strength to play golf as you had when you were younger, then you are going to need clubs that are very forgiving. In other words, with these clubs, you will be able to make your ball fly with an easy stroke. Oh, and the best part is that they will not dig in the grass during your swing, causing you to lose power in your shot! These clubs are known as “game improvement clubs” or, in case they are very forgiving, “super-game improvements clubs.” They will certainly help minimize your ball contact errors, but they will not help you improve your swing (improving your swing will require some professional tips and practicing at the driving range.) When using these clubs, your ball will fly as far as if you had good contact with the ball; this is the effect of forgiving clubs. Super game improvement club differ from game improvement clubs in two ways. One is that super game improvement clubs have a larger offset. Second, is that the cavity on super game improvement clubs is much larger. 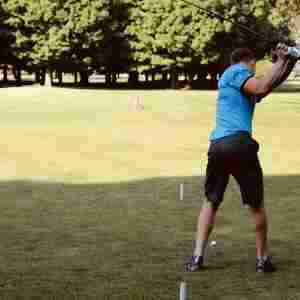 As you progress in your golf game, you will find that you will move through stages of your game, wherein it will be necessary to go from super game improvement to finally reaching the level of blades. What is most important is that you always stay aware of the level of your game so you know when a change is necessary.